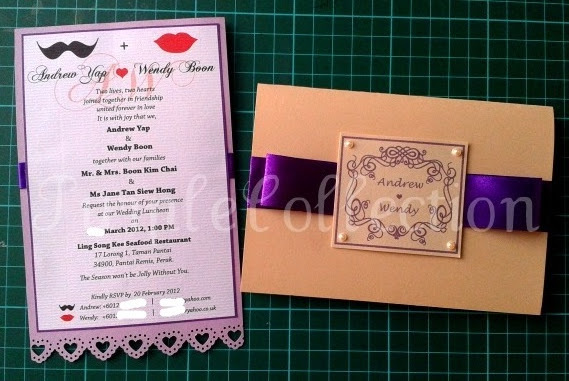 These two designs wedding invitation cards are handmade for Wendy from Perak, Malaysia. 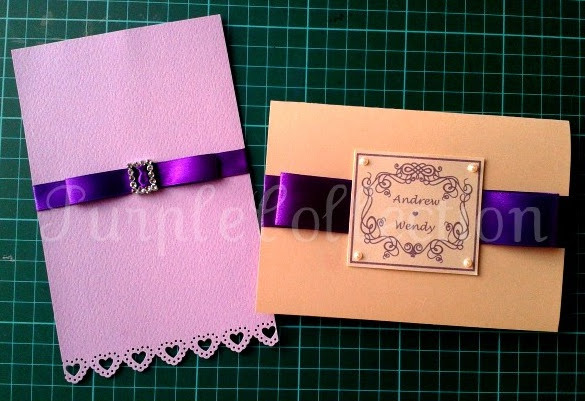 She requested two different designs, both in purple. 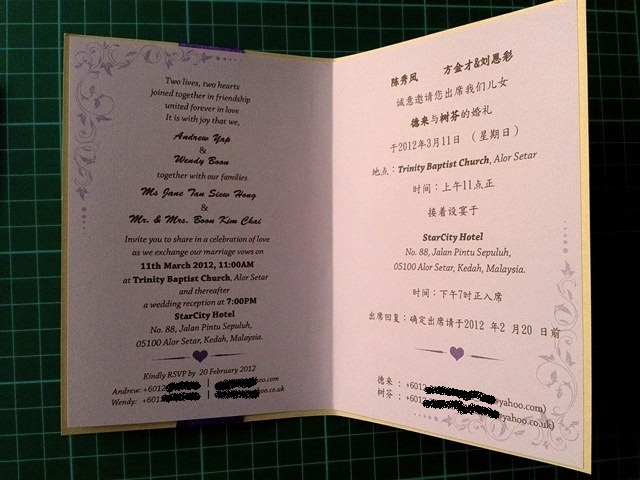 Envelopes provided in pink, red, beige, purple, and white.